This sink isn’t a Blanco but don’t let that fool you into thinking it’s not a reliable option for your kitchen. 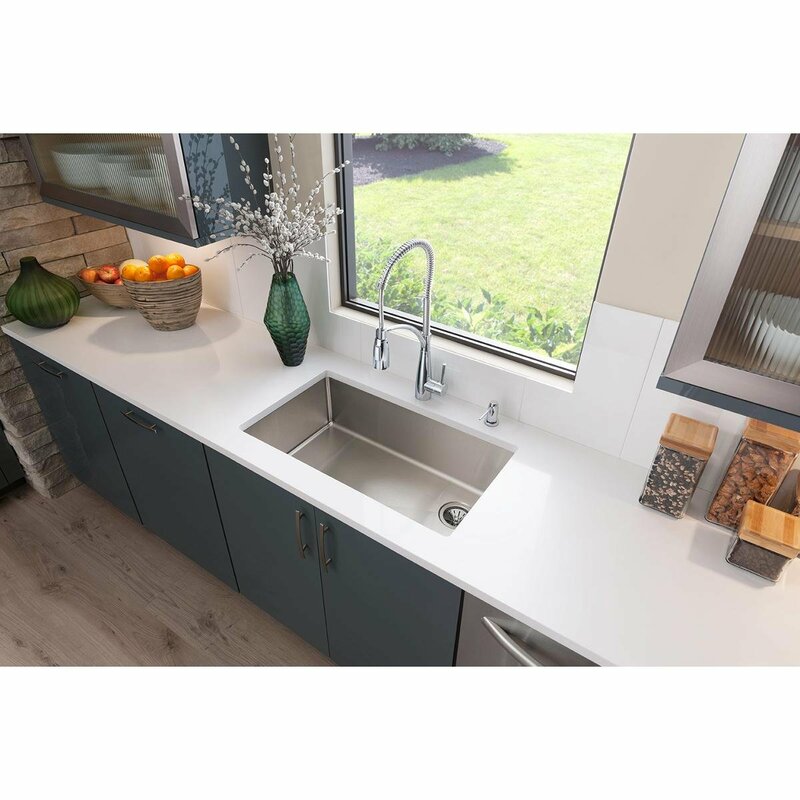 In fact, the Elkay Crosstown offers a much better value than most Blanco steel sinks at this price point and even manages to get around some of the issues the cheaper Blanco ones come with. If you’re not obsessed with Blanco or another very popular brand like Kraus, you would want to stick around as we review the Crosstown in detail. Stainless steel sinks usually don’t disappoint as far as the look and style are concerned, but things aren’t the same when you’re shopping for something at such a low price point. However, the Crosstown would probably give a run to even some of the high-end stainless steel sinks on the market – that are priced at least twice as high as it – when it comes to the aesthetics. Also, being a single bowl undermount sink, it helps create a perfectly seamless look in your kitchen. 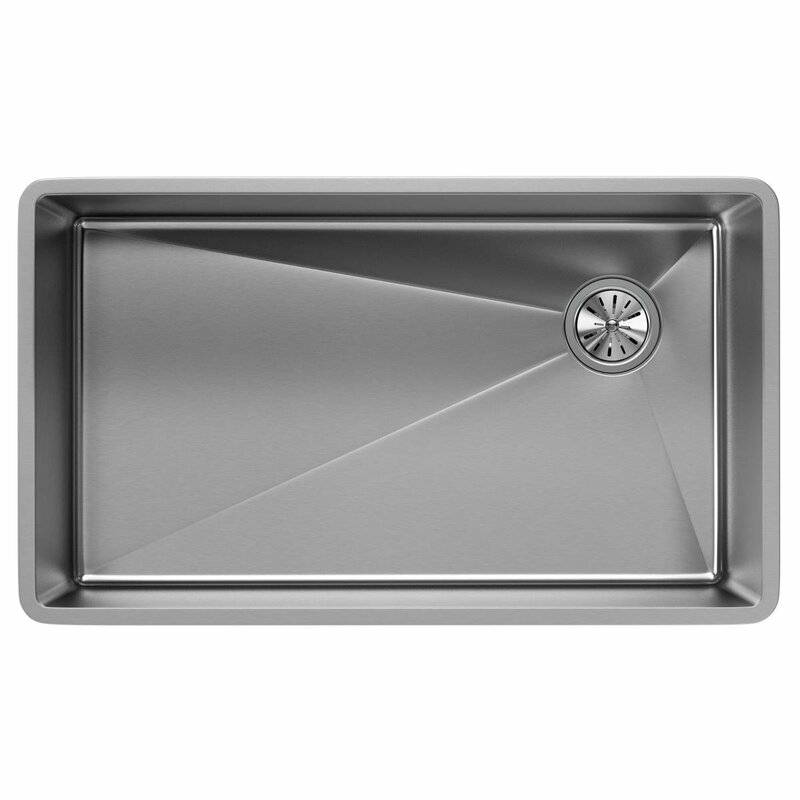 The 18 gauge stainless steel is one of the highest quality steel a sink in this price range can be made of. The steel is also on the thicker side, and of Type 304, which translate to a very high level of durability and performance. You can expect it to last for a really long period of time, even if you subject it to a lot of rough use. One of the most annoying things about using a stainless steel sink is the noise they make when you’re using them. While many of them do come with sound-deadening padding, it usually doesn’t turn out to be enough to offer you a quiet, comfortable washing experience. However, the Crosstown manages to be surprisingly quiet, while also minimizing the vibrations. It isn’t going to completely eliminate all the sound (let’s be realistic here given the price point), but it sure isn’t going to make the kind of noise that would make it uncomfortable for you to wash it. The Elkay Crosstown‘s design is not only attractive but also very functional. One of the most unique things about it is the placement of the sink hole, which is on the top right side of the sink’s surface, instead of the center as with most sinks. This not only makes the sink look more modern and unique but also paves the way for a more effective drainage. Then there are the straight sidewalls and a flat bottom to make the sink more functional, with the tight corners making the maintenance easier. There’s also a drain placement that allows the users to have some usable space on the bottom. Many users use this space to have a trash can below the sink, which works great for small kitchens with limited space. While this is an extension of the functionality of the Crosstown, but the reason it’s worth talking about separately is that not all single bowl sinks in this price range offer enough space. However, the Crosstown is large and deep enough to let you wash and stack large utensils such as large baking sheets surprisingly easily. While scratches are going to be unavoidable as the Crosstown is a steel sink, but you can minimize them to a great extent by simply using the Elkay grate. Absolutely! Some of the features the Crosstown brings to the table are something you would usually only find in steel sinks costing twice its price. As we said at the beginning of this review, if you’re willing to consider other brands over Blanco and Kraus, the Elkay Crosstown makes a lot of sense, especially as a budget stainless steel sink.